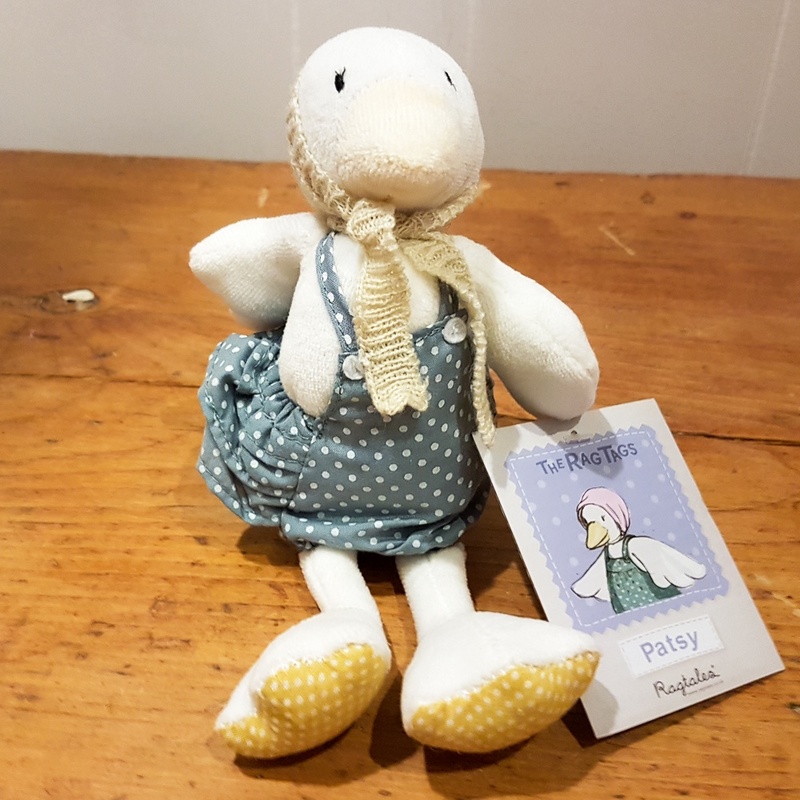 Patsy is a sweet little soft toy Duckling who is just learning to swim! Dressed in a beautiful teal polka dot bathing suit and with a lemon beak and feet, Patsy's look is completed with a hand-knitted cream bonnet. Size: Patsy is 23 cm tall. Suitable for birth onwards (as eyes and nose are embroidered) and is machine washable at 30 degrees.